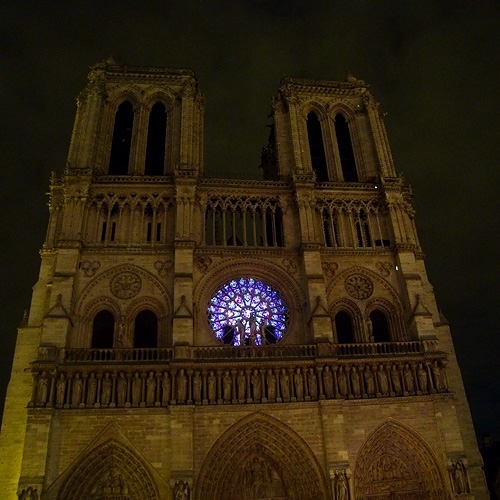 « By switching off all the lights inside and outside Notre Dame, I wanted the cathedral to find a new breath. Monochromatic, the soothing interior turns into a lung of light that slowly vibrates through the stained glass, revealing their colours and presence into the heart of the night. A call of beauty addressed to many in the darkness of the night ; a dream, shared by hundreds, accompanied by an interlude for piano composed by H.S. Struck.